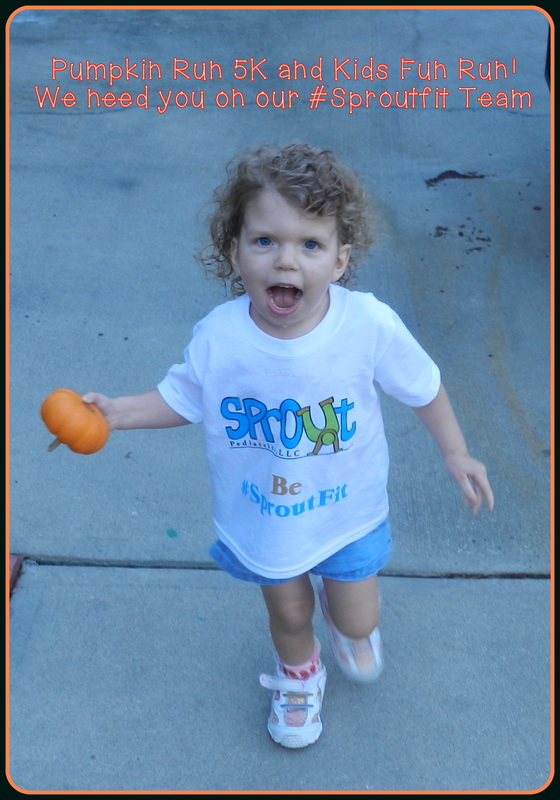 It is that time again when we are creating a team to participate in the NW YMCA Pumpkin Run! 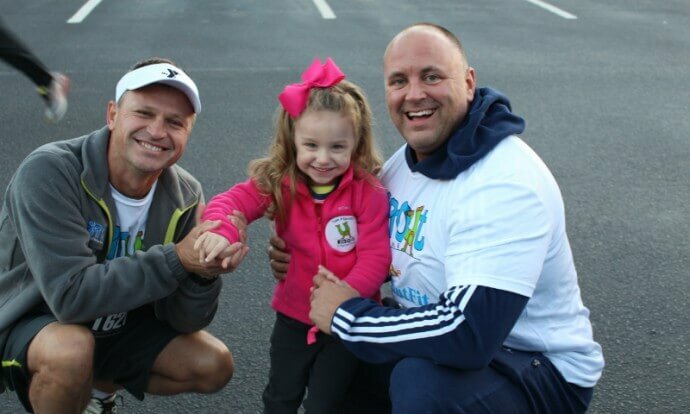 Sprout Pediatrics once again is a sponsor for this great race that involves the whole family and includes a 5K run/walk ($20) and a kids fun run ($10 and less than a mile long). Last year our team had 100 participants from ages 2 to 70 including adults and children with disabilities doing the kids fun run with a chaperone. Our goal was to create a buzz through our #Sproutfit campaign for more inclusion, adaptive sports and programming. Did we ever! We had a great turn out and some heartwarming stories that followed. Throughout this past year, we have met with the NW YMCA branch to develop plans and are very close to making some big announcements that will focus on serving families with special needs in our community with intentional programming! We have initiated a pilot program this fall that allows four children with special needs to participate in a regular soccer league with the aid of a volunteer called a Buddy! Your participation in the race will help us move towards our goal to birth this program that will be funded by donors and events such as the Pumpkin Run. Our goal for this year’s race is a team with 200 members made up by children and adults able and challenged. Sprout Pediatrics is committing additional funds that will be earmarked for this programming! Will you help us? We are creating Team Sprout stickers for race day to designate our team this year. Hope to see you all there!! -Go to the next screen and pay to check out. Thanks again for your support in this endeavor! Sprout Pediatrics: On a mission!Teenage Boy with Autism Discovers the YMCA 5K is Fun!